Wash and drain the poha. Soak in tamarind water for 5 minutes.Water should be only till the level of poha. Heat oil and roast dania, jeera, pepper, red chilli, black till, curry leaves. Grind them with haldi and coconut coarsely and make dry powder. Heat oil in a kadai and splutter mustard, add urad dal, chana dal. let it becomes golden brown and add curry leaves. Add Poha, grounded powder. Saute for 3-4 minutes. 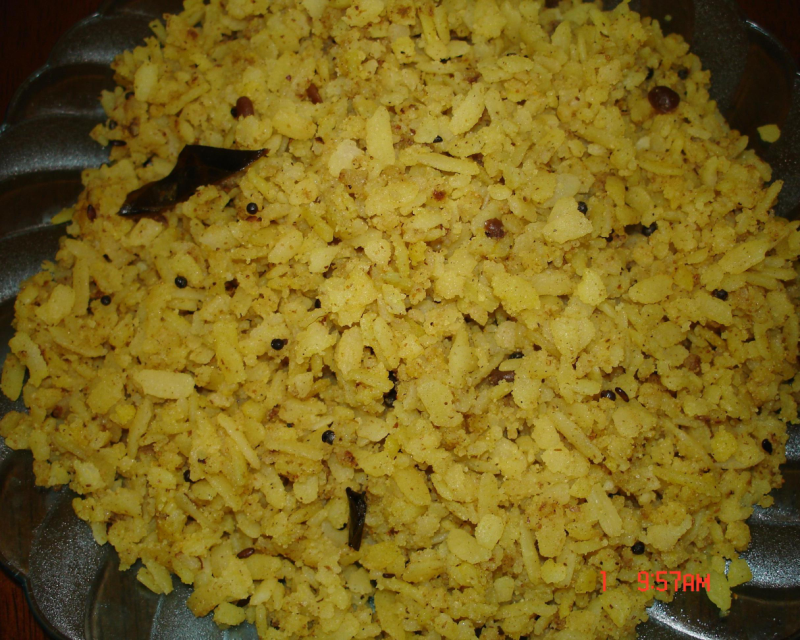 Puli aval upma is ready.